Brookdale Senior Living Solutions offers numerous senior living solutions at over 1100 communities in every state except Alaska, Hawaii and South Dakota. In addition, the company provides services at 10 locations throughout Illinois (seven in the Chicago Metropolitan area) including senior living communities, skilled nursing homes and assisted living centers. Many seniors choose to move into a Brookdale community to have constant access to supportive services including scheduled recreational activities, transportation and meals. The company’s assisted living facilities provide each resident basic support care and daily living assistance including housekeeping, transportation, apartment maintenance and access to social events, recreational activities and meals. Hospice – Brookdale offers hospice services when health care options have been exhausted and the physical health of the patient starts to fail. Hospice is built around a care philosophy that provides freedom from pain by providing palliative care that focuses on end-of-life comfort. Skilled nursing hospice care provides the patient comfort and support when cure-oriented treatments are no longer effective. Long-Term Care – Because many seniors require specialized long-term care, Brookdale offers needed services that include administering medications, post-surgical care, post-hospital care, individualized health care plans, preparation of specialty diets, therapeutic solutions, diabetic management, long-term custodial health care and restorative health care solutions. Rehabilitation Services – Rehabilitation is often required as individuals age or following an injury, trauma or surgery. Brookdale offers a variety of therapeutic rehabilitation services to assist seniors in regaining mobility, managing stability and adaptive techniques to improve coordination and strength. Additionally, these facilities offer language and speech therapies to improve swallowing, speaking and oral muscle strength. In-Home Health Services – Brookdale Home Health Services in Naperville is the company’s only Medicare certified home health care provider in Illinois. This service allows individuals to stay at home years longer while maintaining independence. The wide range of services assist the senior in bathing, safety, balancing, simple wound care, dressing, medication administration and review, along with monitoring acute and chronic diseases. Memory Care – There are numerous company operated memory care communities across the nation, providing services to individuals suffering from dementia and Alzheimer’s disease. Properly trained Brookdale associates use concepts and approaches to help patients preserve their sense of self. Even though Brookdale is known for its high quality living at every stage during retirement years, the corporation is not without legal problems. Recently, surviving family members of a loved one staying at a facility filed a lawsuit against Brookdale in Rio Rancho, New Mexico after the resident suffering dementia died of a fatal brain hemorrhage. The injury was a result of a horrific assault by the resident’s roommate, another individual suffering from dementia. The lawsuit alleges that the staff overmedicated the loved one and failed to properly evaluate and monitor the roommate. Though the victim initially survived the attack, he later died at the hospital three weeks later. The alleged attacker was sent to a behavioral health Institute in Las Vegas, New Mexico. The surviving family members of the victim were devastated and filed paperwork to take legal action. Another legal issue involving a Brookdale senior retirement community in California made national news when a nurse refused to give CPR to a Glenwood Gardens resident who collapsed while eating in the facility’s dining room. The attending nurse at the time called 911 instead of providing resuscitation when the woman was clearly not breathing, citing she was simply following the facility’s policies and protocol. The resident was declared dead after being transported to Mercy Southwest Hospital in Bakersfield. Oddly, the policies involving CPR resuscitation are not the same at skilled nursing facilities and assisted living homes adjacent to the Glenn Gardens retirement community. Had the woman been residing in either one of those facilities, she would have been provided immediate care. The advocacy group National Consumer Voice for Quality Long-Term Care was unaware that policies to prevent CPR assistance existed at Brookdale and other retirement homes. The facts of this lawsuit arose in a nursing home operated by Brookdale. The resident at the center of the controversy had a bed sore upon her arrival into the facility. Staff did not do anything at first to treat the wound or prevent its spread. When they finally did, it was the last day she was to remain in special care. Then, her Medicare funding dried up and she had to be transferred to general assisted living. While in that division, her bed sores only got worse. Eventually, a specialist looked at them and decided she needed to be moved to a hospital. She did not make it long. The sores became infected and she died of sepsis roughly two weeks after being moved to general assisted living. Lawyers for the woman claimed that the defendant facility and staff cut corners, did not treat her reasonably, and were responsible for her wrongful death. In a negotiated settlement, the plaintiffs obtained $1 million of compensation for their loss. This case was filed in DuPage County for an incident that occurred in a Brookdale facility (Glen Ellyn). That area borders the much larger and well-known Cook County. The complaint makes out that the plaintiff, one Judith Cunningham, suffered a tibiofibular fracture towards the end of December in 2017. The case alleges that the injury occurred as staff attempted to move her from a wheelchair to a couch. The attorneys state that the defendants were negligent in their transfer. Ordinarily, nursing home staff have several duties when moving patients in order to guarantee their safety. They must 1) utilize enough trained staff and 2) devices and 3) consider the patient’s circumstances in order to ensure he/she is not harmed during the move. Obviously, that did not happen here according to the plaintiffs. Thus, they argue that the defendants were negligent. In essence, they are complaining that reasonable nursing home staff would have done things differently. If successful, the woman would be able to obtain compensation for her costs, pain, and reduced quality of life. The events of this case happened at a Brookdale location in Will County, Illinois. It was brought as a double action for negligence and wrongful death. That means the plaintiffs believed that the defendants unreasonable conduct caused the resident’s injuries and damages as well as his death. Upon his admittance, the resident was already undergoing a number of serious health issues including Alzheimer’s and dementia. He was deemed a risk for falls. Accordingly, medical personnel had drafted and sent over policies and procedures to ensure that that would not happen while he lived at the Brookdale facility. According to allegations, those were not followed. Consequently, he did fall. He sustained several injuries which, according to the complaint allegations, led to his death. His wife and children survived him. They brought this action. If successful, plaintiffs will be able to recover for various losses including bills, pain, suffering, lost companionship, lost support, and related things. This dispute is another example of apparent abuse and neglect at a Brookdale location (Lisle). The resident involved was in her middle eighties at the time of the events in question. She had dementia and was at risk for falls. Yet, defendants allegedly did not take steps to draft procedures to prevent her from falling. Also, she actually did fall on a number of occasions. She broke her neck during one of the accidents. The lawsuit describes this injury as the cause of her decline in health and subsequent death. She was survived by her children-two of them. The lawsuit asks for damages related to this supposed deficient care. Taking swift action after an incident or learning of an episode of neglect is an important component of the legal process. 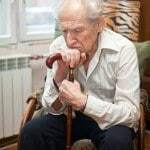 In addition to fixed timelines for filing a nursing home negligence lawsuit, moving forward after learning of an episode of abuse also allows for a thorough investigation of the matter to be conducted. Rosenfeld Injury Lawyers LLC is proud to be the law firm chosen by hundreds of families to represent their interests in Illinois nursing home negligence lawsuits involving all types of incidents. Our team has the experience and connections necessary to fully prosecute your case for maximum recovery. Call anytime to discuss your situation without cost or obligation.